I never thought I would be able to make a decent SCD angel food cake, but this turned out pretty good. I made it into cupcakes for my first try, but I want to try an actual cake at some point. The cake is a little sticky, probably because of using honey instead of sugar, but the texture was surprisingly close. My cupcakes shrank a little, but they still taste good. I’m not sure if it’s because I didn’t fold the eggs whites in properly (I’m not an expert at that) or if it’s just the way it is. Line a cupcake pan with cupcake holders. Separate egg whites into a bowl and set aside so whites come to room temperature. Melt the honey in a saucepan for a few minutes until it is very runny. Sift coconut flour twice in a separate bowl. Beat the egg whites until foamy. Add vanilla, lemon juice and salt. Beat until soft peaks form, whites should not be stiff. Slowly add the honey and beat until stiff peaks form. Pour the coconut flour on top of the whites and carefully fold in. Spoon the batter into the cupcake holders. I filled them right to the top of the pan. Bake for 30 – 35 minutes, until tops are golden brown. Let cool on a wire rack before removing from the pan. Keep refrigerated. 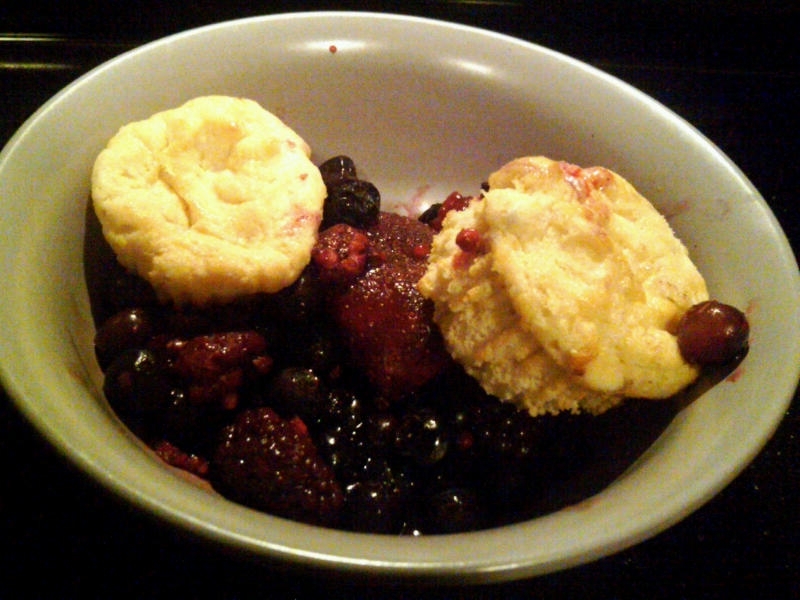 Serve with fruit or berries. Can’t wait to try this one. I love angel food cake. Thanks for posting this! I’m trying to switch all my baking to using no processed sugars. I’m gonna use your recipe as a template today. Thanks! Thank you! I have made this twice! yummy!!!! Can this be baked in a angel food cake pan? Just wondering if it would turn out? I don’t have an angel food cake pan so I’ve never tried it. However I don’t see why you couldn’t, but you might have to adjust baking times a little. How many cupcakes did it make. This made 12 cupcakes. I’m planning on updating to the new recipe format soon!